Glucosamine and Osteoarthritis: why (not)? 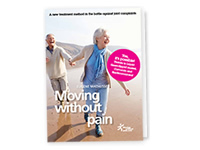 Home » Glucosamine and Osteoarthritis: why (not)? Surely you’ve heard of Glucosamine, right? Most arthritis patients know that Glucosamine is a common treatment for joint problems. And many undoubtedly know, or have experienced themselves, that taking glucosamine often does not have beneficial effects. But what exactly is Glucosamine and why is it so popular considering its disappointing effects? Glucosamine is present in virtually all body tissues, but the highest concentrations are found in our cartilage, ligaments, and tendons. Glucosamine is a main component of so-called Proteoglycans, the large molecules that ensure that cartilage retains moisture, absorbs shock, and remains smooth. Glucosamine is also an essential part of Hyaluronic acid that is responsible for lubrication of the joints. Often a shortage of cartilage components is not (or not the only) cause of cartilage thinning. In general, wear of the cartilage in the joints is the result of a combination of mechanical causes such as heavy, long-term straining, (e.g. worn knees due to manual labor) and inflammatory processes that cause wear of the cartilage (and subsequently arthritis). In addition a chronically slightly elevated rate of inflammatory factors in the body (also known as ‘low-grade inflammation’) can also cause arthritis.In both cases, Glucosamine supplements are ineffective, as they stop neither mechanical wear nor inflammation. Cartilage cannot ‘regrow’, except in very rare cases such as so-called joint distraction. Taking glucosamine to promote the repair of damaged cartilage is therefore completely useless. As long as the joints are inflamed any newly produced proteoglycans will immediately disintegrate. In summary, Glucosamine supplements can only be useful after the inflammation has been stopped first. 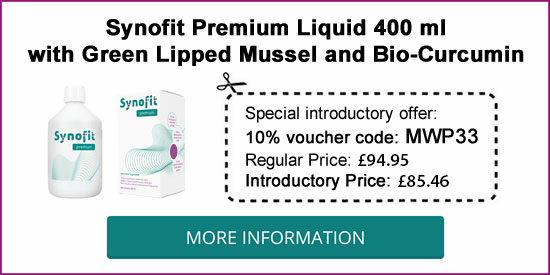 In this framework, taking a supplements that contains Green-lipped mussel is a more logic solution, as it has an anti-inflammatory effect and also contains Glucosamine. Various studies have shown that the Green-lipped mussel truly works as an anti-inflammatory, even more so than Glucosamine. In fact, Glucosamine has so far only shown an anti-inflammatory effect in vitro, and not in vivo. Concretely, this means that in a petri dish at the lab, an anti-inflammatory effect was measured, but in practice (in the human body), this was not the case. What makes Glucosamine so popular? Despite all these facts, some patients report an improvement of their joint complaints when they take Glucosamine supplements. How is that possible when clinical studies with Glucosamine again and again show little or no positive effects compared to placebo ? The conclusion of researchers is that the positive effects that are sometimes reported with glucosamine probably are the result of the so-called placebo effect. This works as follows: a person has a specific condition and starts using a product to treat it. The product seems to work because even just the thought of taking something allows the patient to relax, and for many, this somewhat eases their symptoms. Moreover, using any product can encourage patients to take better care of their joints, which makes (temporary) improvements more noticeable. Other people decide to overhaul their lifestyle by eating healthier, exercising more and making choices that are more conscious. Finally, patients often start taking a specific product when their symptoms are at their worst. A disease like arthritis is characterized by ups and downs where a bad period usually is followed by a better one, regardless of the product used. Therefore, most studies include a control group where not only an actual product is taken but also a placebo that is a product without any active ingredients. The participants in the study do not know whether their prescription contains an active ingredient or placebo. After the study is completed the researchers compare the results of the placebo and the active ingredient. Only when the effects of the active ingredient are better than placebo its effects are considered real. What is the difference between Glucosamine sulfate and Glucosamine hydrochloride? On the labels of products containing Glucosamine, you will generally see the addition of ‘sulfate’ or ‘hydrochloride’. Usually hydrochloride is abbreviated as ‘HCl’, so in that case, the label would read ‘Glucosamine HCl’. Some prefer Glucosamine sulfate over the hydrochloride, because the sulfate can be used in combination with other compounds. However, the disadvantage is that glucosamine sulfate is somewhat unstable and requires the addition of sodium chloride or potassium chloride to ensure stability when the substance comes into contact with water or air. The added sodium chloride or potassium chloride accounts for up to one third of the weight of a Glucosamine sulfate tablet and is the reason why these tablets are usually very big. Glucosamine hydrochloride is more stable than Glucosamine sulfate. However, since there is no sulfur group, some think that it is (even) less effective than Glucosamine sulfate. In fact, most recent clinical studies have shown that Glucosamine hydrochloride indeed is completely ineffective . Veterinarians have been using Glucosamine for years to treat osteoarthritis in dogs, cats, and horses. Contrary to the disappointing effects in humans, it seems to work quite well, especially in dogs and horses. Other treatments, including the Green-lipped mussel, also seem to have significant positive effect in animals, even at an extremely low dosage. In fact most dogs, cats and horses have a very monotonous diet – they eat the same food day in, day out – and as a result they are often lacking essential nutrients. This phenomenon can make supplements that are especially rich in certain nutrients truly effective. Humans, on the other hand, have a much more varied diet, and as a result, we require a higher dosage of the same product to be effective while other products simply are ineffective. 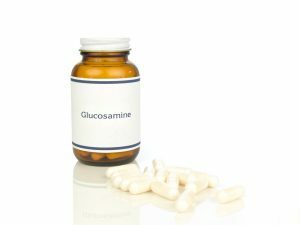 Is it wise to continue taking Glucosamine? If you feel Glucosamine works for you, there is no need to stop taking it, as it does not have any side effects. You might feel better because of the placebo effect, but even so, that’s better than nothing. What you could do, is stop taking Glucosamine for a while to see whether your symptoms return where after you can decide whether to start taking it once again. If you have been taking Glucosamine for years with no noticeable effect on your joints, there is no point in continuing this treatment. Many manufacturers want you to believe that the effects of Glucosamine can only be noticed after half a year and that, even if you don’t notice any difference, it is still useful to continue taking the supplement for years. Of course, it is difficult to know what the condition of your joints would have been if you had not taken Glucosamine during that time. The results of major clinical studies  show that Glucosamine has no effect whatsoever on joints affected by arthritis. However, some doctors think the use of Glucosamine in healthy individuals (not affected by arthritis) may help prevent the development of joint problems. This is probably due to the effect Glucosamine has on autophagy. The latter is a normal process that occurs in the entire body, in which cells ‘self-destruct’. Scientists believe that when this happens in the joints, it may be related to the development of osteoarthritis. The manufacturers of Glucosamine preparations are currently studying the possible preventive effects of their products. In addition, some scientists hope that Glucosamine may have a positive effect on a range of other conditions. If that proves the case, the long-term use of Glucosamine by humans may be effective after all. Fox, B.A. en Stephens, M.M. (2007) Glucosamine hydrochloride for the treatment of osteoarthritis symptoms. Clinical Interventions in Aging 2;599-604.